How is the taste of the fruits different from one another? | How is the transition of taste possible when a fruit ripens? The fruits like apple, guava, banana etc are sweet and the fruits like the orange, mosambi etc are sour. Few fruits taste different while they are raw and they taste different when ripe. The difference in the taste is due to different chemical combinations in them. 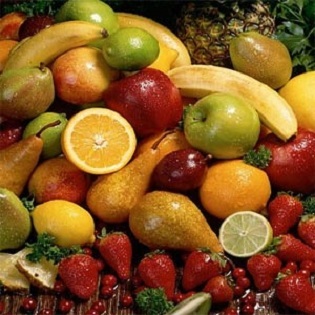 Generally the fruits contain the cellulose, proteins, different fatty acids, vitamins and sugar. The fruits which are sweet containing more sugar content and amino acids make the fruits sour. Few fruits are sweet and sour and this is because they contain equal amount of sugar and amino acids. The raw mango is sour as the content amino acids is more and the sugar is less. When the mango becomes ripe, the content of the sugar increases and the amino acids decreases and so the mango tastes sweet after ripening. There is more starch in the bananas and they change into sugars while ripening. The chemical changes are responsible for the sugars in the fruit while ripening. Even though the fruit is same, the taste may be different when brought from different places. The reason for this is the environment they are grown, fertilizers used and the climatic conditions. So the chemical changes take place in the fruits changing their tastes. The amount of acids in the lemon are more and even they get ripen, they are sour. « How are the papers formed? | What is the procedure of paper making? » How are fuels formed? | Where do we get them from?